Campania, a region that includes Naples, has a rich history of wine and should not be underestimated. In the past three decades have seen a renaissance in the Campania wine industry. The small winery, Pietracupa, started in 1993, is the regions little-known operation that is outstanding. 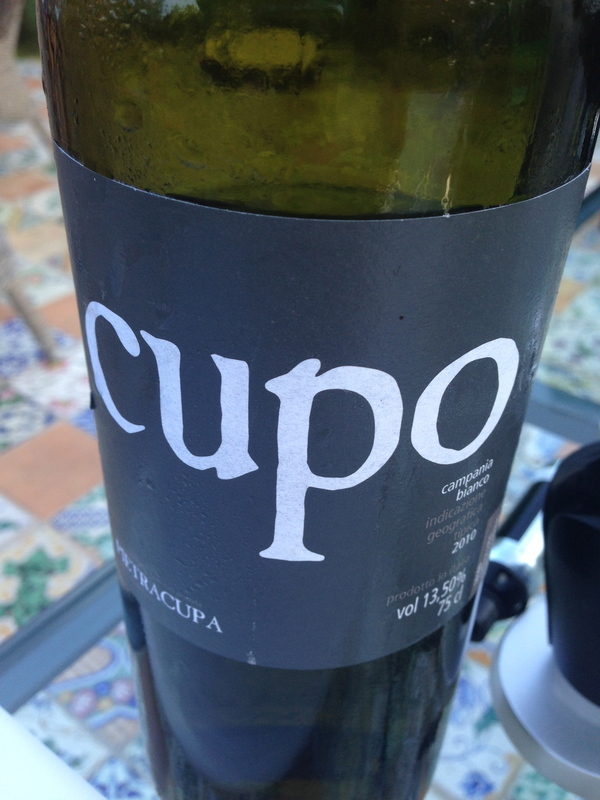 Cupo is made by Sabino Loffredo, a young vigneron who has taken over the family winery. Pietracupa is situated near Avellino in the Campania region, a mountainous terrain with open nature. The production focuses on the grape varieties typical of the area: Fiano and Greco, and Falanghina for the whites, and Aglianico for the red wines. The vines are only 3 hectares of vineyards are planted, the soil in the vineyard contains a thin layer of clay and sand over a compact core of tufaceous rock from volcanoes that made up the majority of inland Campania. The volcanic rock is responsible for the mineral and chalk elements that make up these incredibly pure wines. These wines are delicious, good concentration and the 2010 has consistent rich fruit.